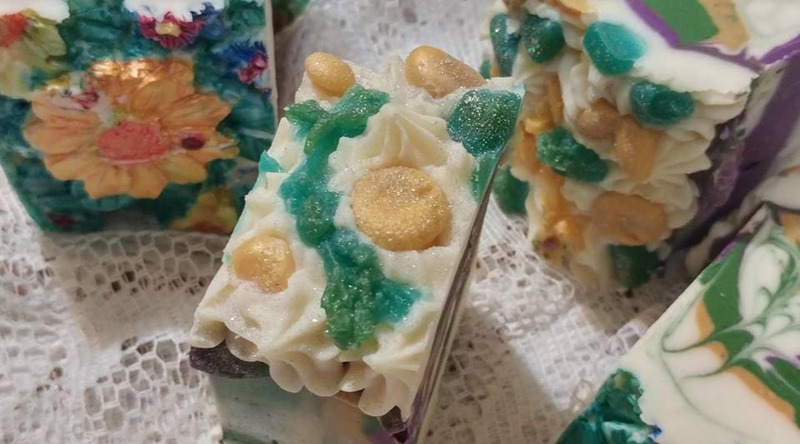 This beautiful soap is two gorgeous soap in one! 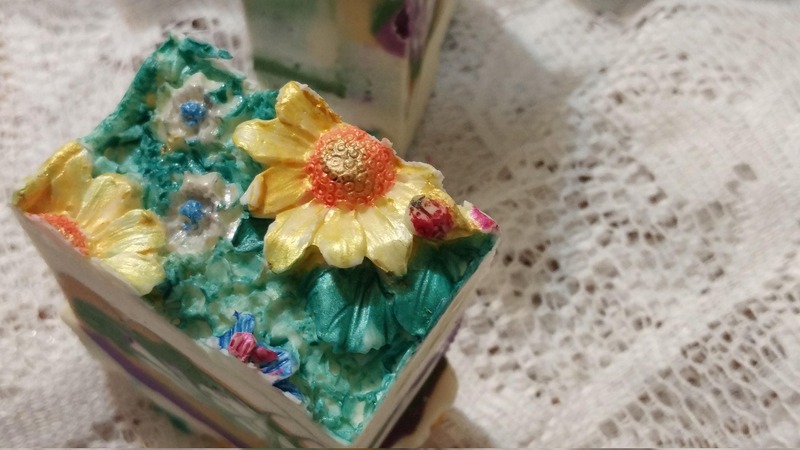 One side is decorated with gifts from the beaches of Victoria in soap and the other depicts the fact that even in every season something is in bloom in the capital city of British Columbia, Canada the beautiful Victoria. 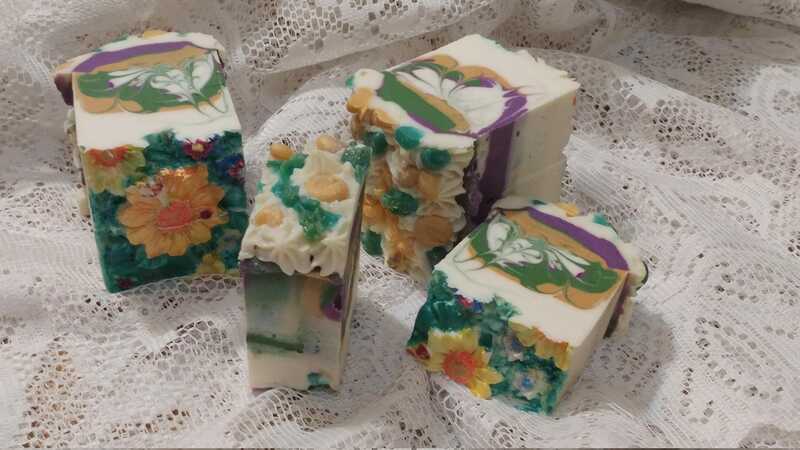 This soap middle is a gorgeous butterfly swirl as well in purples, gold and greens. Easily cut in half for two beautiful soap as each weighs in per bar at over 5 oz. Scented with Rock Star it is truly a star soap in our line this Christmas season. Decorated in such a way as to be a joy to use in the coming year. As we have now sold out you can request a custom order (minimum order is 1 loaf). This is a whole uncut loaf of soap that is made to order. It takes 3 days to make it and 3 weeks to cure.